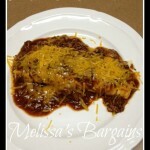 MONDAY: Slow Cooker Chili – This was on our menu last week, but it was one of the recipes I didn’t get around to making. 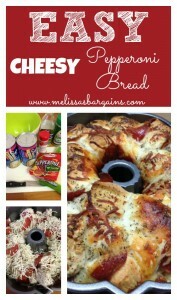 It’s quick and easy and we actually all love it! Plus, we’re supposed to get another cold front, so it should be PERFECT! 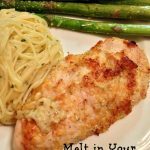 TUESDAY: Slow Cooker Chicken lickin’ pork chops – Quick and easy to throw together as long as I remember to pull the pork chops out of the freezer to defrost the night before! 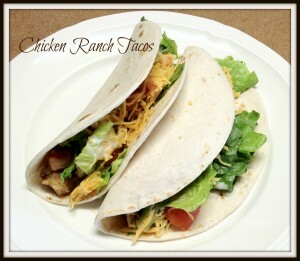 WEDNESDAY: Slow Cooker Chicken Ranch Tacos – Inspired by a recipe that I used to love at Chili’s (sadly I don’t think it’s on the menu anymore) These are so yummy and kid friendly! 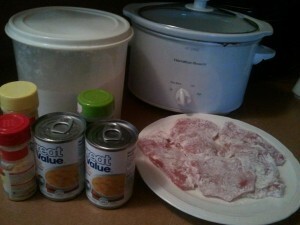 Throw the ingredients in the crock pot and you’re set! 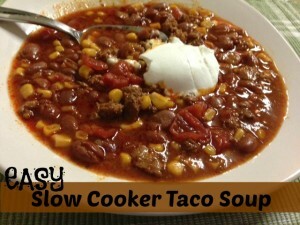 THURSDAY: Slow Cooker taco soup – The best thing about this soup is the LEFTOVERS! 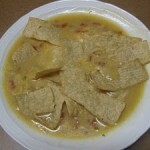 It makes a TON and so there’s always plenty for lunches and I think it’s even better the second (or third, fourth, and fifth) time around! 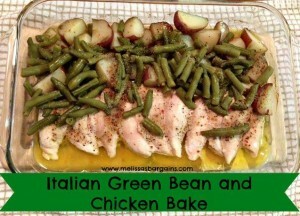 SATURDAY: Italian Green Beans and Chicken Bake – A trusty stand-by for me! 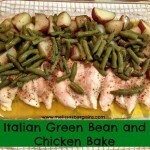 I love it because it’s so easy to throw together! 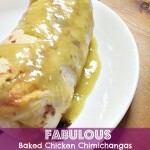 Since Saturdays are packed with cleaning, grocery shopping, a basketball game, and other errands, this is perfect!